The launch of several movie streaming services has raised new questions about how online consumers deal with both legal and illegal options to obtain their desired products. This paper investigates the factors influencing consumers’ intentions to subscribe to online movie streaming services. These services have challenged the dramatic growth in their illegal counterpart in recent years. Taking the theory of planned behavior as a starting point, we extended existing models in the literature by incorporating factors that are specific to consumer behavior in this particular field. A quantitative survey was conducted for the Italian market, and structural equation modeling was used for data analysis. Attitudes, involvement with products, moral judgement and frequency of past behavior were found to be the most important factors in explaining the intention to pay for movie streaming services. 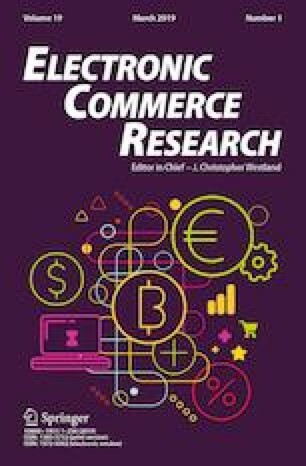 The paper provides insights for policy makers and industry managers on the marketing communication strategies needed to minimize the risk of digital piracy. Choice (2015). Research update: CHOICE Digital Consumers Paying for Content - Behaviour and Attitudes, white paper. Available at: https://www.choice.com.au/electronics-and-technology/internet/internet-privacy-and-safety/articles/choice-piracy-survey-2015. Last accessed June 16, 2016. Greenberg, M. (2015). The economics of video piracy. PIT Journal. Available at: http://pitjournal.unc.edu/article/economics-video-piracy. Last accessed June 16, 2016. IFPI (2014). Digital music report 2014. http://www.ifpi.org/downloads/Digital-Music-Report-2014.pdf. Last accessed June 14, 2016. Irdeto (2015), Irdeto piracy and business intelligence quick read report: 2015 Academy Award ® Nominated Films. Available at: http://irdeto.com. Last accessed November 24, 2015. ISTAT (2014). Internet@Italia 2013: La popolazione italiana e l’uso di Internet. Available at http://www.istat.it/it/files/2014/11/Internet@Italia2013-def.pdf. Last accessed April 01, 2016. Riekkinen, J. (2016). Dissonance and neutralization of subscription streaming era digital music piracy: An initial exploration. In PACIS 2016, proceedings of the 20 th Pacific Asia conference on information systems, Chiayi, Taiwan, June 27–July 1 2016, paper 251. Available at: https://dblp.org/db/conf/pacis/pacis2016.html. Last accessed October 31, 2018.